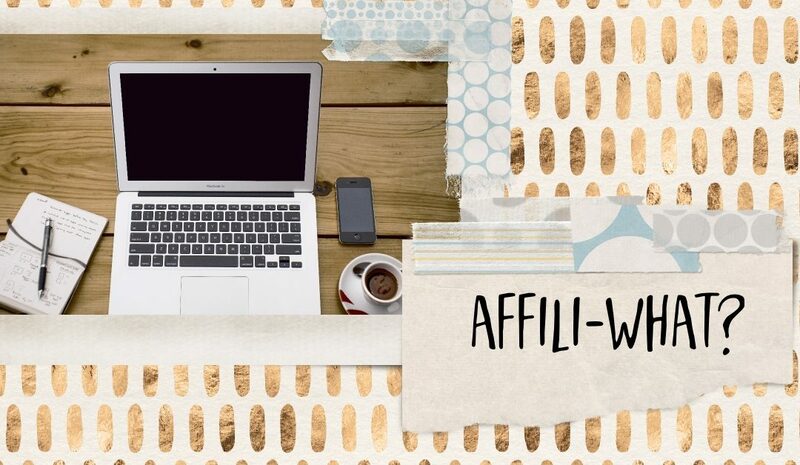 This is probably the shortest guide to affiliate marketing every written. I just want to cover the basics so when I write ‘affiliate link’ next to a link, you know what I mean. And you can see for yourself how affiliate marketing can help you grow your business. Sometimes when I link to a book or product I love, I use an affiliate link. It tells the destination website that it was me who sent you there. This means that I may earn a commission for anything bought via that link. The person doing the buying never pays anymore, regardless of whether they arrive at the site via an affiliate link or take themselves to the website directly by typing the URL into the browser. The commission is paid from the seller’s profits, as a thank you for me doing some of their marketing for them. There’s three things I want you to know about affiliate marketing (making money by promoting someone else’s stuff). I won’t ever use an affiliate link for a product I haven’t used myself and loved. I just won’t. Unless I’m linking out to a helpful book - because I can’t read them all - and you’ve got reviews there to tell you whether it’s any good or not. Not everyone sticks to the same principles. Just because you see someone recommend a big ticket course/program/software, that doesn't mean they love it. When you’ve built a solid reputation, traffic to your blog, and an engaged email list, spend some time looking into affiliate marketing opportunities for your business. You can use it to make money from commissions as an additional passive income stream. This may be an easier way to increase your income than creating your own digital product. The Lazy Guide To Affiliate Marketing* by Elizabeth Buckley-Goddard is well worth the initial investment to help you add this revenue stream to your business (tried and loved it myself). If you create an affiliate programme for your own products/services you can get other people to sell your stuff for you - helping you boost your reach and your income. Your own customers are a great place to start with this as they have firsthand experience of working with you, and can make an authentic recommendation of you to their audience. If you really want to get into it the two biggest names in affiliate marketing are Smart Passive Income and ProBlogger. Or there are plenty of books on affiliate marketing for just a few dollars on Amazon.co.uk* and Amazon.com*. Or check out the Lazy Guide To Affiliate Marketing* here. * P.S. Starred links are affiliate links.